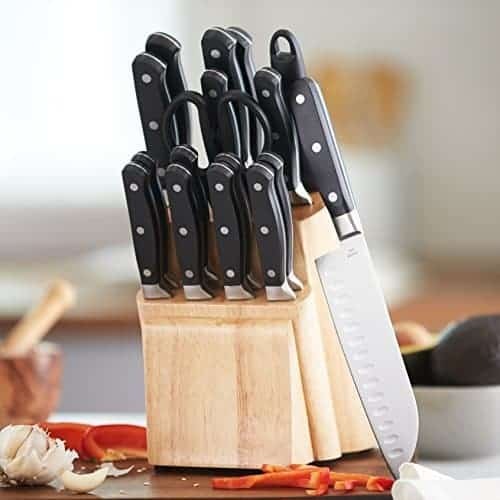 So Amazon have released a Premium 18-Piece Knife Block Set and it has to be said, the kit is doing a roaring trade. Of course, being an Amazon product it does have the benefit of having a prominent position in the shop window. However, having said that, buyers still have the opportunity to comment, and comment they have – nearly all to a tune of really high praise. The manufacturers must be doing something right. 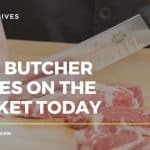 AmazonBasics 18-Piece Knife Block Set – What’s Included? 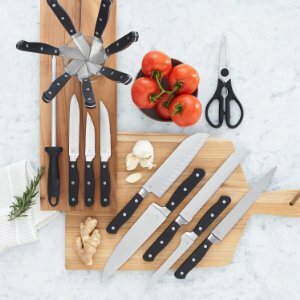 The 18-piece knife set with block provides everything you need for slicing, dicing, chopping, and more. They advertise the kit as being ideal for an experienced chef or just starting out. 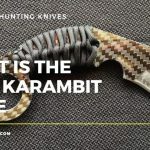 But let’s take a closer look at the actual knives supplied. 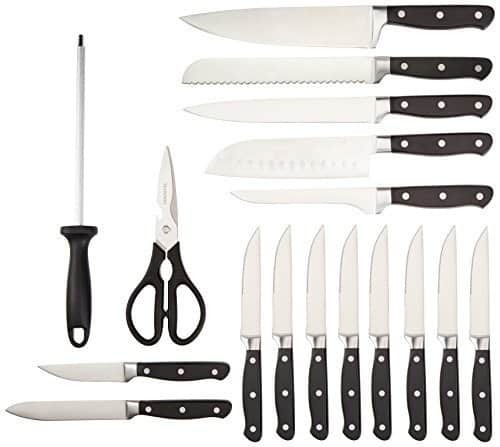 Despite the low price the knives are made from professional-quality stainless steel. The knives also boast precision-honed blades for long-lasting sharpness and reliable cutting performance. 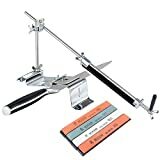 The included blade sharpener should be enough to maintain a sharp edge on all the knives (except for the set of eight steak knives, which feature micro-serrated edges that never require sharpening), however should you need there are many reviews within this very website with details of some of the best sharpeners on the market. 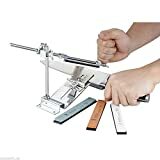 The knives are well balanced and provide a comfortable grip. They also feature a full bolster which helps keep your fingers a safe distance from the blade. To top it off, each handle features triple-riveted construction with a full tang. 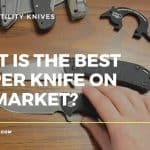 Excellent, well made and affordable knife set. 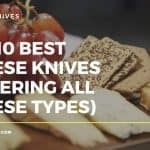 18 knives at a great price. Amazon have kindly refrained from putting the logo in an obvious position on the block too, so this can have pride of place in any kitchen, with the impression you have paid a whole lot more for your set. From a performance perspective, it will certainly seem as if you paid a whole lot more.